As farrrrr South as Delaware beaches go is Fenwick Island State Park. 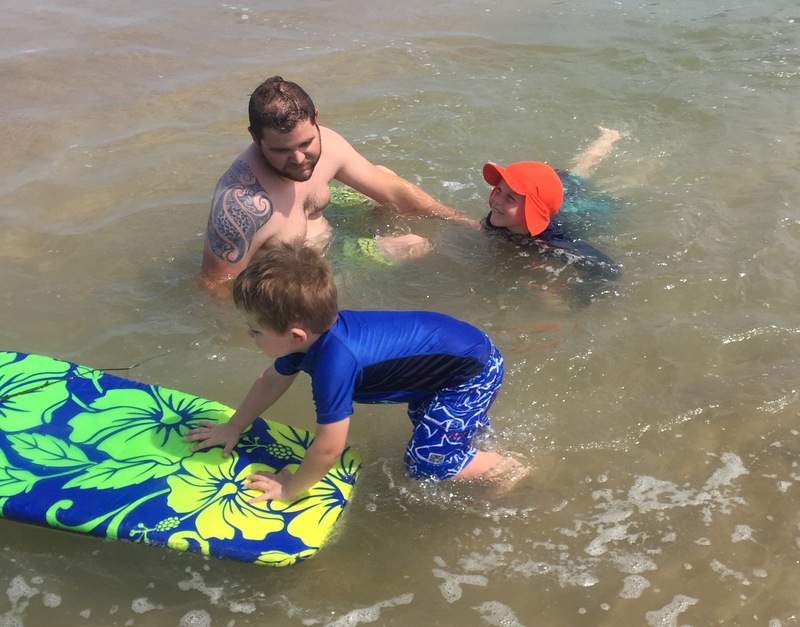 Located between Bethany Beach and Ocean City, MD, Fenwick could easily be passed by as it’s hugged by the two more populated areas but you just might want to give it a try. Even though it’s only a few miles south of Delaware Seashore State Park, we liked it much better. Unfortunately, it was still pretty crowded during peak season but I think that’s unavoidable no matter where you go. What we loved most is that during low tide, there’s a great shallow area where the water pools that is perfect for the littles. It last a few hours if you time it right and you can park your chairs right next to it while they splash in their own personal saltwater pool. There is an entry fee, ($5 in state, $10 out of state) and a bathhouse so you don’t end up bringing half the beach home with you.